At Carry Farm, we are surrounded by 66 acres of coastal wilderness, a million miles away from the dirt and grime of urban life. Yet in less than two hours you can unwind by the shores of Argyll's Secret Coast and enjoy a way of life that is a far cry from the norm. There is a bit of an oddity that the more children are aware of the natural world thanks to smart phones, youtube and TV, the less are experiencing it directly. Our children's time is much more structured than it once was. Spare time must be spent constructively; after-school activities, coaching, organised sports, music lessons – leaving very little time for them to kick their heels up out of doors with free and unstructured play. And as a result, they can be missing out on essential life skills. Playing in the great outdoors boosts problem-solving skills, focus and self-discipline and socially it can improve cooperation, flexibility, and self-awareness. Experiencing nature at first hand is the perfect way to learn respect and appreciation for our planet. Whether your child prefers guddling down on the beach catching minnows, admiring starfish or the challenge of catching a razor clam, there is so much to do without having to leave Carry Farm. Maybe they would prefer exploring the woods climbing trees, keeping their eyes peeled for the red squirrels, or taking precious cuttings of wildflowers for their flower press. Carry Farm has an abundance of wildlife waiting to be discovered whether on the land or out at sea. 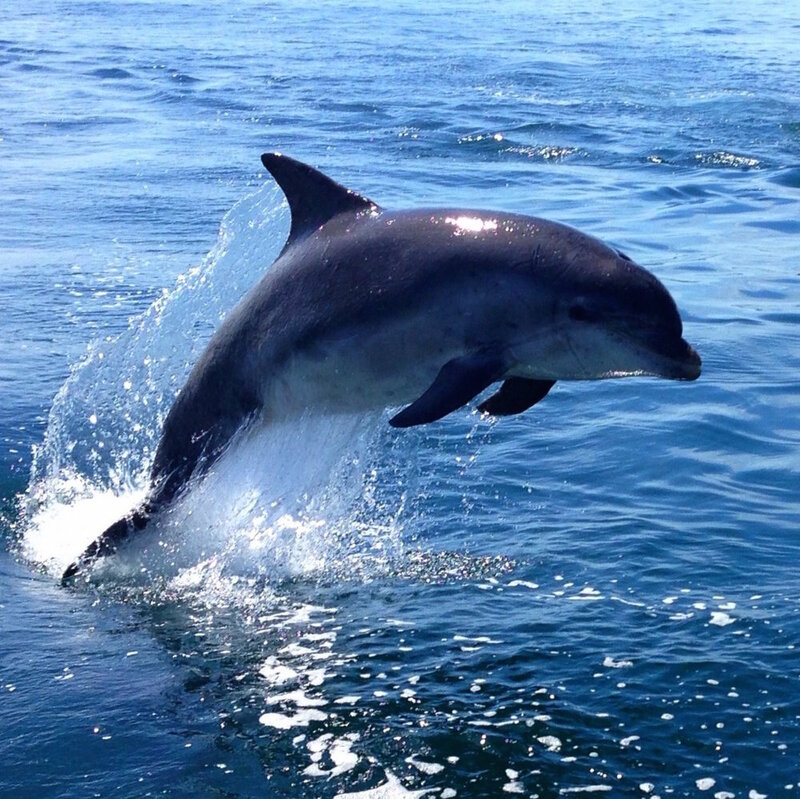 Otters are often spotted on our shores, deer graze in our fields, red squirrels love our hazel woods, gannets dive off our point and if you are very lucky, you may spot a passing dolphin, basking shark or minke whale. Start them young and instil an interest in the natural world, ensuring the next generation are motivated to take care of our planet. Have you ever wanted to ditch the heaps of manufactured toys children accumulate over time? Give it a go and bring the kids to Carry Farm where they will find wading down on the beach, visiting the donkey, climbing trees, making dens or exploring the woods so much more fun. Outdoor adventure can provide hours of entertainment in simple things. 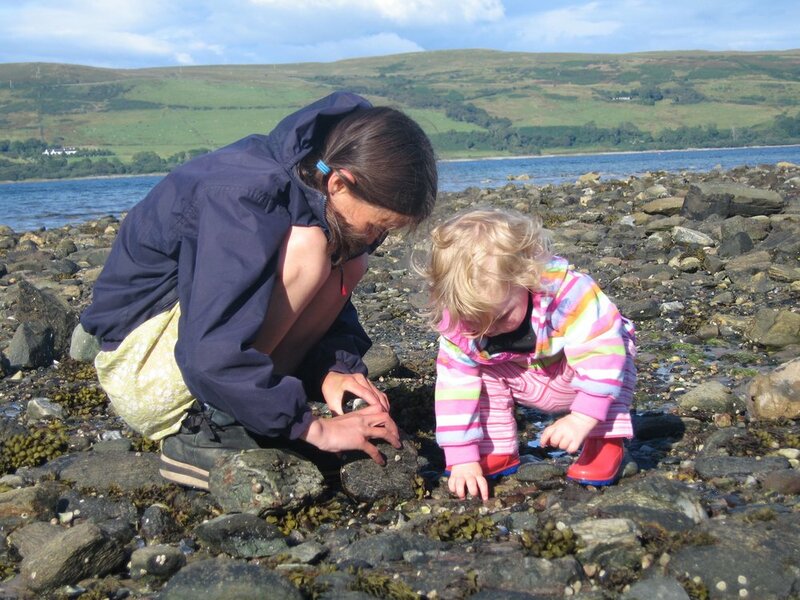 Building stone sculptures on the beach, starting a shell collection, catching your tea……. it is a weird dichotomy of having nothing to do in the country, and yet there is so much to do! Without a plethora of social activities on your doorstep, both children and adults can be left with just their imagination and senses to take them on an adventure. A walk, a bike ride or building a den in the forest will all give you all a different perspective. Kids are capable of more than you think, and in fact thrive on opportunities for independence. It is hard for children to become responsible and capable when they do not experience the great outdoors with an element of freedom. Climbing a tree is a great lesson in measuring risk for yourself and how to take responsibility. The possibilities for adventure are limitless when young children are left to their own devices in a safe outside environment. Of course all that outdoor action burns so many more calories than inside play or screen time. Obesity is perhaps the most visible symptom of the lack of outdoor play and getting your child outside and active will help to keep body and mind fit. And of course, the best is kept to last. Boy do they sleep well with all that fresh air! Our lodges at Carry Farm overlook our safe beach with great balconies to help you keep an eye on the kids whilst they play on the shore. We still have one or two weeks left during the school holidays.............so go on.......take the plunge, leave the plastic behind, and perhaps pack favourite teddy to experience the great outdoors with the children. There has never been a better time to explore Argyll!